The HY-LiTE® Fuel Test Kit Pens are the disposable tests used in the HY-LiTE® Fuel Test System, which includes the HY-LiTE® Luminometer. 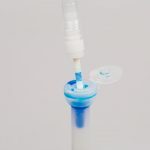 This rapid system can detect microbial contamination in less than 10 minutes, and the HY-LiTE® Fuel Test Kit Pens work using an extraction liquid that is pre-loaded into each pen. 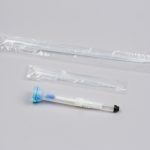 Each pen in the pack provided represents a single test that can be carried out, and at the end of each test the pen (filled with the sample taken and extraction fluid) is inserted into the HY-LiTE® Luminometer to provide an electronic reading (which represents the test result). The Fire Fly uses the energy rich phosphate bond of ATP to produce light by way of its enzyme system; luciferin – luciferase. 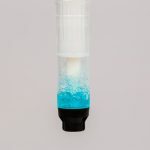 By utilizing the Fire Fly enzymes in the test pens, the HY-LiTE® Fuel Test System measures light produced which is proportional to the amount of ATP present in the fuel or water sample tested. Hence light measurement, measured as Relative Light Units (RLU) can be used to determine the concentration of ATP present in the original sample. RLU are not SI units and therefore only Merck® manufactured test pens should be used in Merck® Luminometers. Full instructions are provided with the system so technical staff can use the system with ease. Please note: in order to use this product you will also require the HY-LiTE® Luminometer. Merck® and HY–LiTE® are a registered trademarks of Merck KGaA, Darmstadt, Germany. What is the Shelf Life of the HY-LiTE® Fuel Test Kit Pens? The expiry date of the HY-LiTE® Fuel Test Kit Pens is printed on the batch label it is one year from date of production. The expiry date applies only to product which has been stored refrigerated 2-8°C, as recommended by the manufacturer . The manufacturers allow a period of up to three weeks of un-refrigerated storage at “ROOM” temperature. Storage during transport at temperatures higher than room temperature are likely to effect the shelf life of the product. 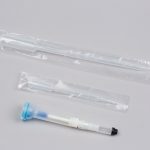 What are the required storage conditions for the HY-LiTE® Fuel Test Kit Pens? 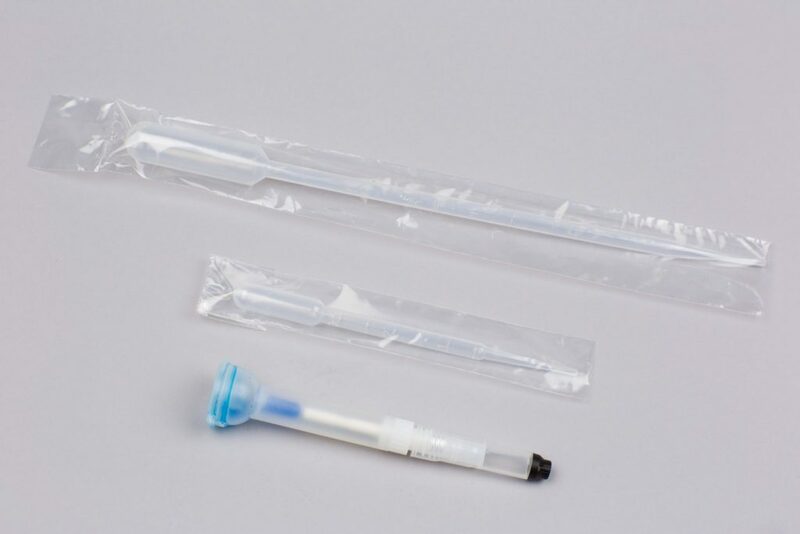 The HY-LiTE® Fuel Test Kit Pens must be re-refrigerated between 2-8 degrees Celsius. The manufacturers allow about a 2 week transportation of unrefrigerated storage within their shelf life. If I take pens out of the fridge on one day can I use them the next? The longer the HY-LiTE® Fuel Test Kit Pens are kept un-refrigerated the more likely they are not to provide reliable results. Repeated removal from refrigerated stores should be avoided. The manufactures allow for a period of three weeks un-refrigerated transport within the stipulated shelf life. Will the HY-LiTE Fuel test Kit Pens detect mould spores? The HY-LiTE Fuel Test Kit Pens will only give positive results when Adenosine Triphosphate is present. Mould spores are hydrophobic and contain very little ATP. Spores are therefore not detected by the test method. Where sampling is remote from contamination and free water phase, spores in the fuel can be the only indication of microbial proliferation within the system. Where water phase is present or fuel contains suspended water droplets the HY-LiTE system provides a rapid screening method.